While today Vermont is no longer home to any Class I railroads it does feature incredible scenery for those that do operate there along with a rich history with trains. If you are interested in Vermont railroad jobs you most likely would have to attempt to hire on with a shortline as these companies make up the majority of the state's trackage today. Unfortunately, given their small size finding an available opening can be pretty difficult. Also, two Class II, regionals operate in Vermont (Pan Am Railways and Montreal, Maine & Atlantic) although combined they operate less than 100 miles of track. Interestingly, Vermont is one of the only states in the country which originates almost no freight. A career in railroading can be a pretty daunting and unrelenting job, particularly on a Class I system which require their conductors and engineers to be on constant and regular call at any hours of the day. While Vermont is not home to any of the larges railroads, please know that, as history has dictated being a railroader can be quite challenging requiring one to be at least somewhat physically in shape and able to endure all types of weather (especially in Vermont which is known to have nasty winters). If you are able to land a job with one of Vermont's small railroads you will probably also be called upon to do whatever may be needed, even if it is not your specific job (remember that these companies don't have the resources like the Class Is which means that their employees usually carry multiple job titles). Lastly, I strive very much to make sure the information presented here is entirely accurate although I cannot fully guarantee such at all times. Please note, while many railroads do have websites or web pages, they are not included here. However, by doing a quick search you can find their site on the web. Pan Am Railways: The largest Class II, regional in the Northeast Pan Am Railways took over Guilford's system in 2006 (which owned historic lines like the Boston & Maine and Maine Central), which spans across Maine, southern New Hampshire, Massachusetts, and eastern New York. 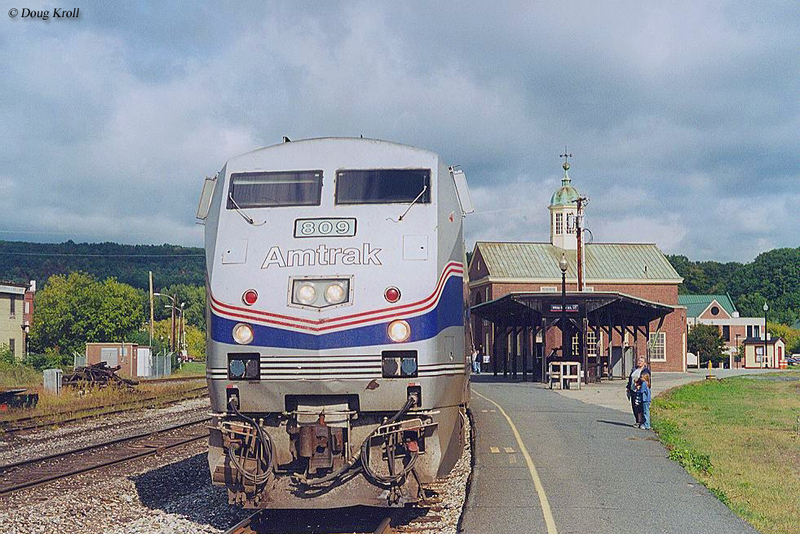 The railroad also operates unconnected lines serving central Connecticut as well as a line reaching St. Johnsbury, Vermont. Please visit their website to learn about employment opportunities. Central Maine & Quebec Railway: Formerly known as the Montreal, Maine & Atlantic which took over the bankrupt and historic Bangor & Aroostook lines in 2003. The new road is currently owned by Fortress Investment. Much of the regional's trackage is located in Maine and southern Quebec, however, it does serve the Vermont towns of Newport and Richford. Overall, the railroad operates over 500 miles of track. Visit their website for job opportunities. Claremont Concord Railroad: The historic Claremont Concord Railroad dates back to the mid-19th century and today operates between Claremont and Lebanon, New Hampshire along the Vermont border. They maintain their own website and may be contacted there. 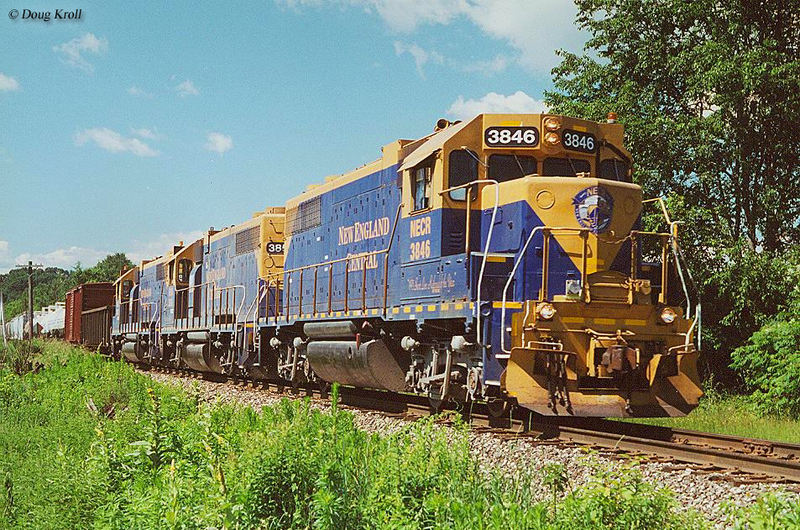 New England Central Railroad: The New England Central Railroad is a very large short line operating nearly 400 miles of track between northern Vermont and southern Connecticut. It operates what remains of the historic Central Vermont Railway. The company is currently owned by Genesee & Wyoming. 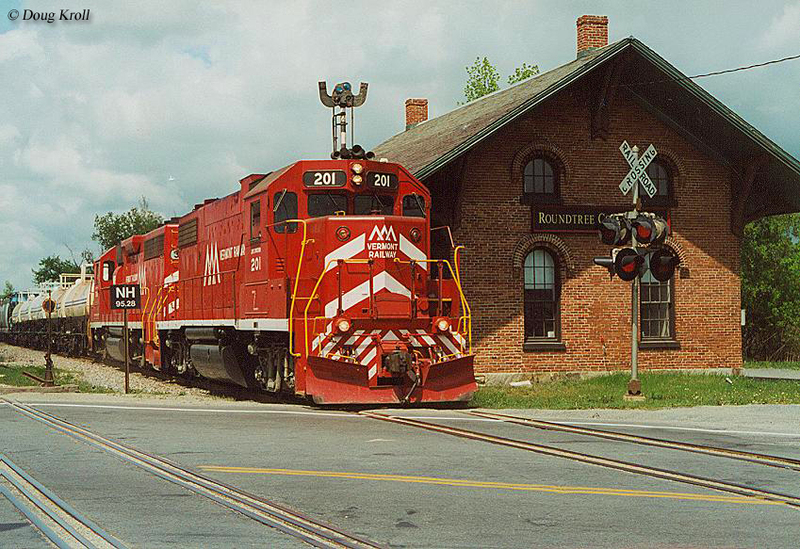 New Hampshire Central Railroad: This privately owned short line operates two unconnected sections of track in western New Hampshire from Littleton to Groveton and also from North Stratford to Colebrook. Visit their website for contact information. St. Lawrence & Atlantic Railroad: This short line is another G&W property, operating a large corridor 157 miles in length between Portland and Norton, Vermont at the Canadian border. The road handles a wide range of freight. Vermont Railway: The state's largest system, the Vermont Railway today operates 230 miles of former Rutland Railroad trackage and staffs more than 100 employees. The railroad began in 1967 and its lines are also popular with the general public in the summer months. Visit Vermont Railway's website for employment opportunities. Washington County Railroad: Another property operated by the Vermont Railway, this shortline connects the towns of Newport and White River Junction on a system covering more than 80 miles. Please visit the Vermont Railway's website for potential job opportunities.